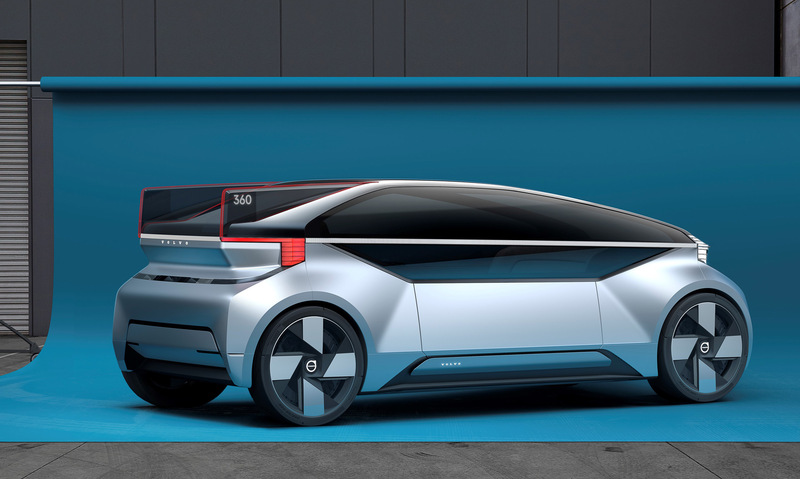 This week was the unveiling of Volvo’s distant-future concept car called the 360c. This all-electric, fully autonomous, modular vehicle comes accompanied by lofty proclamations instead of a steering wheel. The Swedish automaker believes cars like the 360c will change the infrastructure between and within cities, alter our ways of living and working, and even potentially upend the short-haul flight industry. The 360c is less a car and more a manifesto for disruptive change. Many people’s initial concern about the Volvo 360c was that it looked like yet another designer’s indulgence, featuring a long glass canopy that terminates in a pair of prominent fins at the back.It’s about the same size as Volvo’s luxury XC90 SUV, albeit with more interior space thanks to the absence of a combustion engine. In brief, this car promises to be both expansive and expensive. However what makes this car promising are features like it’s fins at the back are an information board and can be used to indicate a reservation number, when the 360c is used in a ride-hailing scenario.There are also information readouts at the front of the car, fitted right next to the LED headlights, and integrated below them is a black bar with radar detectors, 3D cameras, and a laser sensor. That sensor bar is also mirrored on the back, and all around the car is a 360-degree strip of LED lights that are used to communicate the car’s intent to pedestrians and human-driven cars. Using a mix of sound and light, the Volvo 360c communicates (a) when it’s on and its autonomous mode is active, (b) when it intends to depart a stationary position and its direction, (c) when it senses a cyclist or pedestrian nearby, and (d) an alert targeted to anyone who might be in the car’s path. The wing mirrors of the 360c are replaced by 3D cameras facing both the front and back, but they still extend out a little further, just to give more visibility and emphasis to the car’s visual signals. There’s basically no flamboyance about this design that doesn’t serve a legitimate functional purpose. Volvo’s 360c concept car may not be a solution to the biggest problems of human transportation over the coming decades. But, it’s a conversation starter, and it’s meant to be a little edgier, more thought-provoking than a real and final product.Which it definitely is.